TWO unusual glider events took place recently at Akron, Ohio, municipal airport. 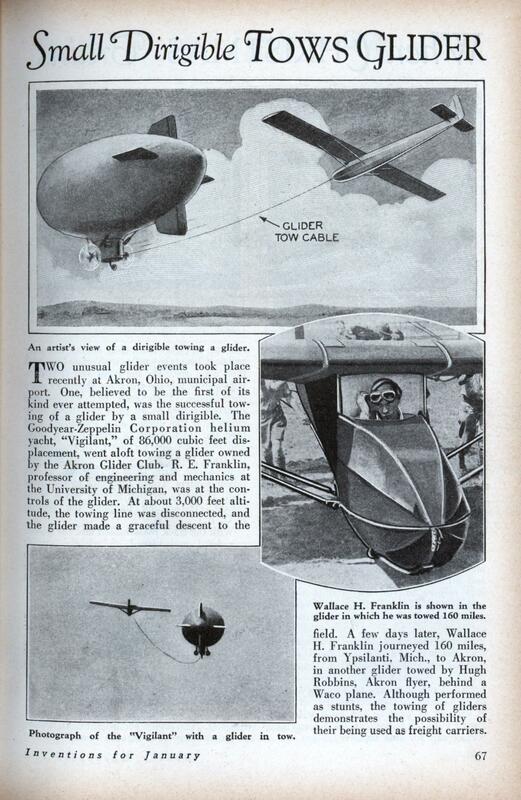 One, believed to be the first of its kind ever attempted, was the successful towing of a glider by a small dirigible. The Goodyear-Zeppelin Corporation helium yacht, “Vigilant,” of 86,000 cubic feet displacement, went aloft towing a glider owned by the Akron Glider Club. R.E. 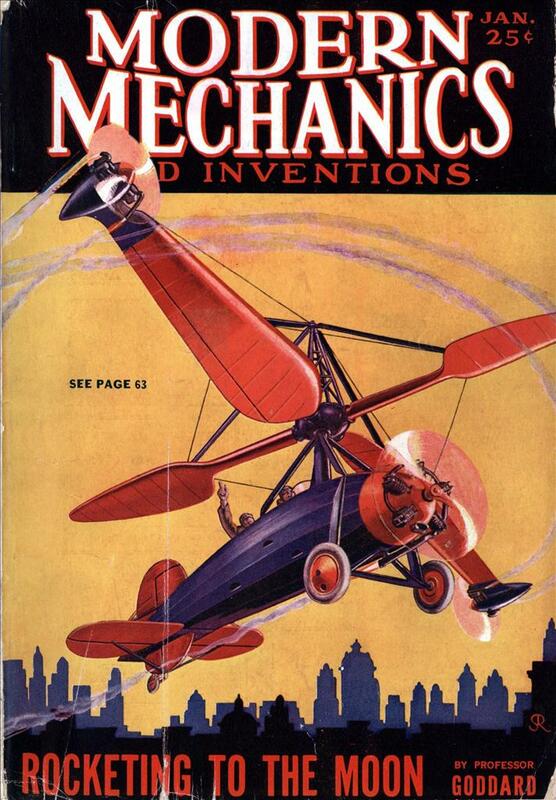 Franklin, professor of engineering and mechanics at the University of Michigan, was at the controls of the glider. At about 3,000 feet altitude, the towing line was disconnected, and the glider made a graceful descent to the field. A few days later, Wallace H. Franklin journeyed 160 miles, from Ypsilanti. Mich., to Akron, in another glider towed by Hugh Robbins, Akron flyer, behind a Waco plane. Although performed as stunts, the towing of gliders demonstrates the possibility of their being used as freight carriers.